Earlier this year Glasgow Theatre Blog had the chance to catch up with Scottish actor John McLarnon. 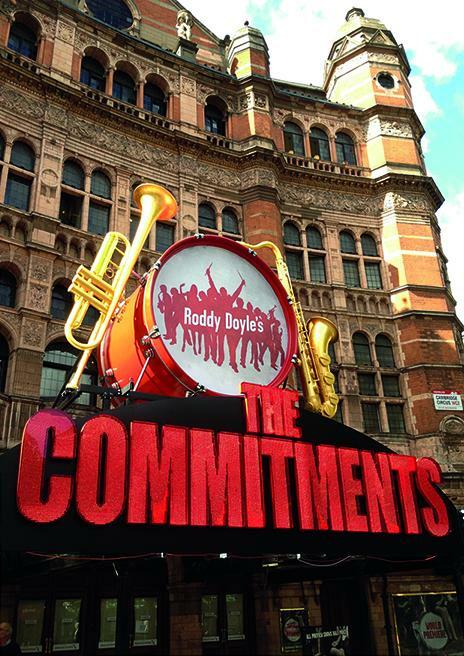 At the time John was appearing in We Will Rock You at the Dominion Theatre in London’s West End, this week he has just begun previews of The Commitments at The Palace Theatre and if the standing ovations from the audience are anything to go by then this talented performer has another hit on his hands. 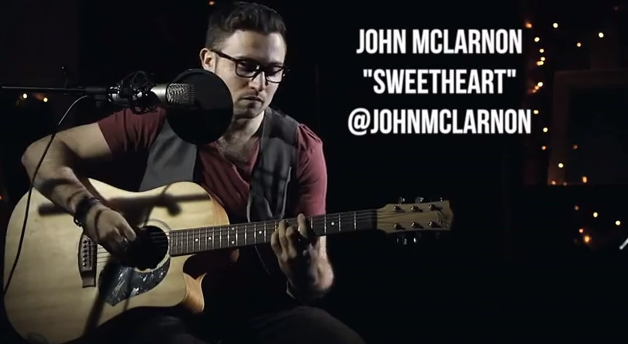 As well as being an acclaimed musical theatre performer, John is also a talented singer-songwriter. Here is Glasgow Theatre Blog’s original interview with John. Can I start by asking a bit about your road from small boy in Scotland to the West End? What first sparked your interest in performing? It was actually in my 5th year of high school, the annual school show which that year was ‘South Pacific’ was desperately short on guys, my English teacher at the time, urged me to audition. I was very hesitant as I had never done anything like it before and it wasn’t deemed very ‘cool’ at that age, but I decided to give it a go. I was cast as the comedy lead and completely ‘caught the bug’ as they say. From that I joined my local amateur drama club ‘Studio 32’ and it all started from there..
Tell us how you went from being interested in performing to actually training and pursuing a theatrical career. I was studying an honours degree in Commercial Music at The University of the West Scotland during my days, but my nights were filled with rehearsing or performing, and I realised in my second year that I was getting much more out of theatre than my degree course. After graduating from UWS I decided to travel and moved to Australia for a year, it was then I decided that I wanted to turn my hobby into a professional career (or at least give it a go). Once I was back home I auditioned for the Royal Scottish Academy of Music and Drama’s MA musical theatre course, whilst auditioning for every amateur production I could in and around Glasgow to get as much experience as possible. Before starting my training in the September I was involved in five separate productions at the same time, rehearsing every night of the week, but once I started training I had such a better understanding of the genre and what I wanted to get out of it. Do you have any theatrical role models or is there anyone whose theatrical career you would like to emulate? There are definitely loads of performers who I admire. Musical theatre actors such as Raul Esparza, Hadley Fraser, Ramin Karimloo are all extremely inspiring as are Scottish actors who have made the successful jump from theatre to film, such as James Mcavoy & David Tennant. These guys have careers to die for, but I think in order to work in this business and stay relevant you have to realise what ‘you’ have to offer and what makes you original as a performer. I have learned so much with each job I have done from the actors and directors around me, and try to constantly better myself and challenge myself as a performer. At RSAMD (now the Royal Conservatoire) you were involved in the highly successful New Musical Developments programme, where you helped create the critically acclaimed Wasted Love, tell me about that. Essentially two very talented guys (The Kielty Brothers) brought a few songs to a group of about eight of us. Under the direction of Andrew Panton we talked about all our relationship mishaps and funny love stories (which there were a lot of) and began constructing monologues out of them and matching up certain songs. We presented a very rough draft at the end of the week in the RSAMD and we got an overwhelming response, so John & Gerry were sent away to write a full script specifically for us to perform at the Fringe. They brought back a brilliantly funny script and score and we began putting our own little characters together and after about two weeks of rehearsal we took it to Edinburgh where it became a festival hit. Since Edinburgh we have showcased the show at Òran Mór in Glasgow & The Actors Church in Covent Garden, and in Spring this year we start development on a 2 act version, which everyone is extremely excited about as we have all been there since day 1, its great to see something that was just a wee idea in a windowless room blossom into something that we are all extremely proud of. You’ve appeared at the Edinburgh Fringe, first with RSAMD’s One Academy Productions, and last year with Clinton the Musical; tell us about your Fringe experience. The Fringe is incredible. It is hard to describe it, you just have to experience it. Its manic, there is never enough dressing room space, everyone walks to their theatre pretty much dressed as their characters, which can be eye-opening, you take your bow then immediately start striking set and clearing out for the next performance, its pretty unique! And there is always so much going on around you, new exciting things to see and also stuff you wish you hadn’t seen, but that’s all part of the beauty of it. Although I would suggest doing a bit of a detox the month or so before starting your run, as I found out with Clinton last year, quick changes between shows mean that junk food becomes your staple diet, but you can justify it as its all part of the ‘experience’ or at least that’s what I did. 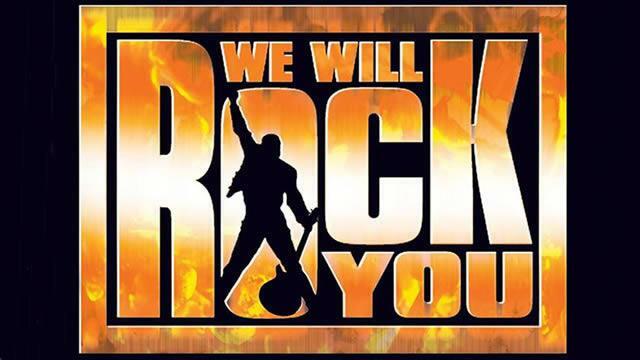 You’re currently making your West End debut as Rebel Leader in We Will Rock You; tell us about the character and what it’s like joining the cast of such an established and well-loved show. It’s a bit of a dream come true landing this role, as We Will Rock You was the very first show I saw in the West End almost 10 years ago now. My Dad is also a massive Queen fan so I grew up listening to the music, so it has a big old place in my heart. Admittedly as with starting any new job I was a little apprehensive, but the creative team were so supportive, encouraging and genuinely lovely during what was quite a long audition process, I knew that I would be made to feel right at home. My character ‘Robbie Williams’ leads the band of rebels who live underground constantly searching for the ‘Dreamer’ who will resurrect Roll & Roll music in a future world where it is has been outlawed. He is definitely the self-appointed leader, and loves the sound of his own voice, at times he becomes almost like a petulant teenager desperate to be heard above everyone else, but he does mean well and redeems himself in the end. He would essentially be one of those characters you see in movies who head up a war effort from a big comfy chair, smoking a pipe, whilst the others fight it out on the front-line . He is such great fun to play and I also play him in my native accent which is an added bonus. How do you spend your days when you are in a long running role? You have to try and keep busy a lot of the time and try and stay creative with other projects, which in turn help keep your performance fresh in the evenings. Since starting the show, I have been writing a lot in my days and also getting out to see some matinees of different shows in London which is a welcome novelty. Also because you work at night, all the glamorous household chores have to be done during the day (nobody likes to here that). I’ve also joined a gym across from the theatre which I try to get to most days, having came off the back of a Fringe season straight to joining a cast full of impeccably fit dancers I felt a little out of shape (fat) so I thought I better take the plunge. You have already appeared in a range of vastly different musical theatre roles in: Sunday in the Park with George, Elegies for Angels, Punks and Raging Queens, Wasted Love, Clinton the Musical and Jekyll and Hyde; what’s the moment in your career you’re most proud of? Without sounding too clichéd, it was definitely walking out in We Will Rock You on the first night, to make my west-end debut with all my family watching, it was a completely packed house and the buzz on stage was like nothing I have ever experienced. It was the culmination of a lot of hard work, and I don’t think I’ll ever forget it. You’re an accomplished singer-songwriter tell us about your own music and what your hopes are for it. 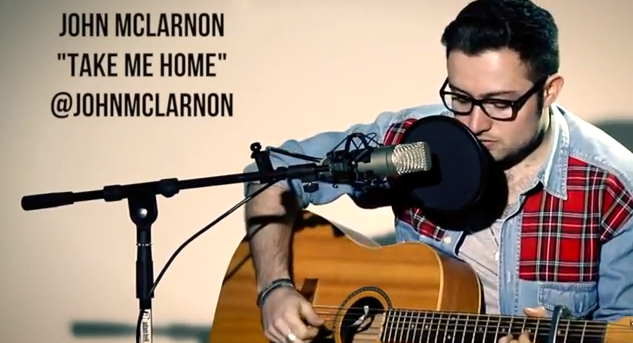 I had been writing music for years, but never seemed to be able to finish songs, but last year when I was in panto in Perth, I had a bit of free time here and there so I started writing and actually to my surprise…..finished some songs, and from there it kind of snowballed. I have about an album worth of songs now, and I plan to start gigging properly in London with them in the spring time and hopefully record a little EP in the summer. It’s a great creative outlet, and I find it very rewarding, I really just want to let people hear it now. I have also started writing some music & lyrics for a brand new musical which should hopefully see the light of day next year sometime. Is there any advice you’d give to a young aspiring performer in Scotland thinking of pursuing a career in the theatre? Just keep throwing yourself into as many amateur productions as possible, there is a wealth of talent in Scotland and some brilliant work being produced. It will tell you if you really do want to pursue a career in theatre, and if you do then you have to take the plunge and get some drama school auditions under your belt. Be honest to yourself about your abilities and your casting and you will improve as a performer much quicker. Probably the most important one is to never rest on your laurels, if you land a big job, its very easy to sit back and relax but you have to keep learning, be it singing lessons or dance class whatever, this industry moves so so quick and you always have to be one step ahead of the game. Oh and finally if you are a guy with a strong Glaswegian accent don’t be offended when you constantly get auditions for the ‘baddie’ because it will happen trust me, but don’t worry those parts are the most fun to play! Finally, if you could create your own production to star in, what would it be and who would you cast alongside you? Ha ha that is an interesting question, I think it would have to be football related unfortunately, I used to play every week, but since starting in WWRY its too much of a risk in case I get injured and I miss it terribly, so a mix of the two would be perfect! And casting wise, well I would probably just cast the full RSAMD musical theatre contingent down here in London as we are slowly taking over the city.